Immediately upon entering the Jersey City Recreation Boxing League, you forget that you are in a back room of the Franklin Williams Middle School (M.S. 7) on Laidlaw Avenue. 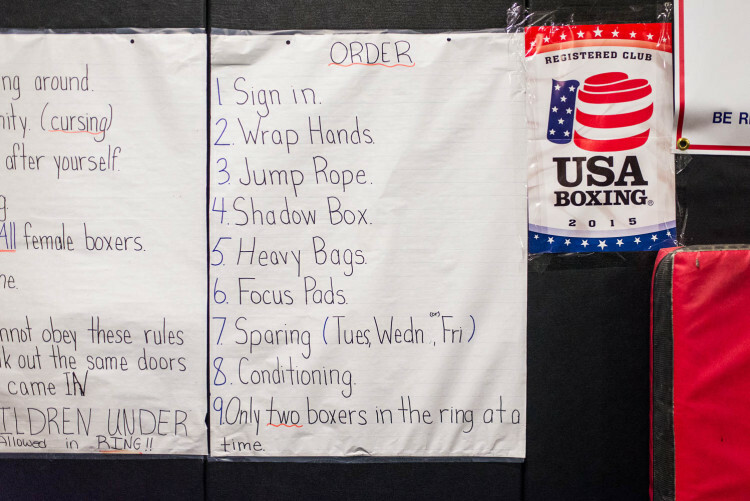 A regulation sized boxing ring stands majestically in a room lined with punching bags, weight machines and other boxing apparatus while young men and women between the ages of 8 and 17 jump rope and shadow box. Accompanying the scents you might normally find in a boxing gym, there is a strong sense of camaraderie, community and dedication. 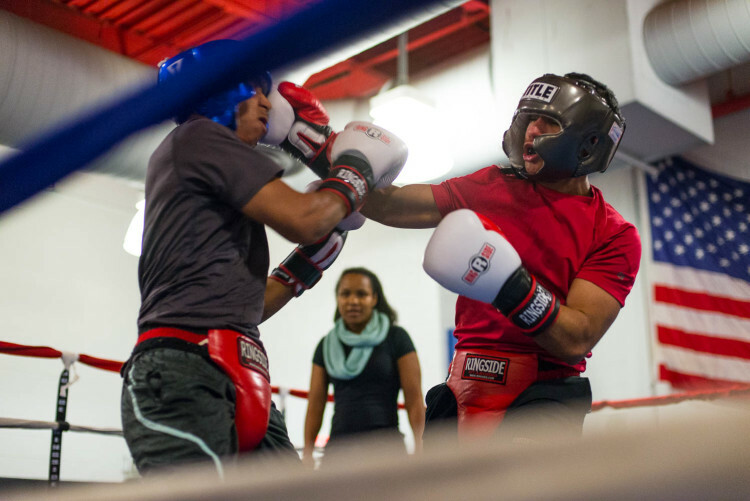 In the middle of all of this organized fury is Luis “Mosquito” Gonzalez, a life long Jersey City resident who is slowly but surely realizing his dream of opening up a free boxing gym in the city. 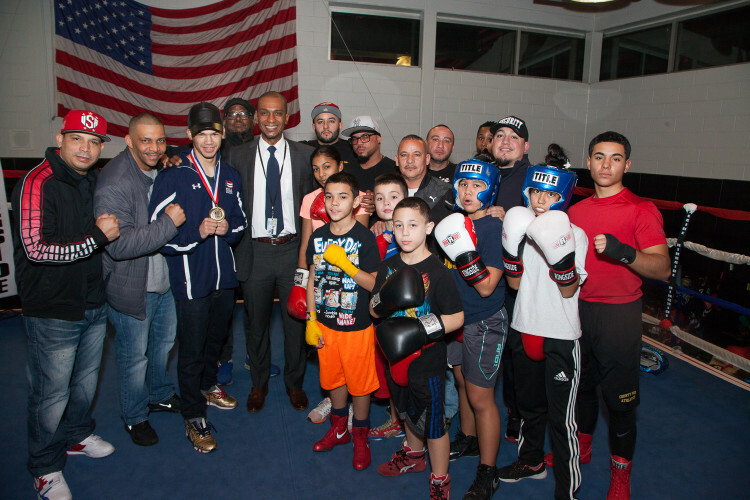 One of the founders of the Roberto Clemente Little League in downtown Jersey City, as well as a community organizer with a long history of giving back in Jersey City, Mosquito launched the boxing program in Jersey City two years ago with the help of volunteers Jason Cruize, Robert Rosario and his son Luis Gonzalez, Jr.
“Money,” he begins, “we didn’t have it. I started going to different locations, and getting the kids involved, just putting on gloves, to see how far we can go. I brought up the idea of a boxing program to elected officials, council members, and the mayor, and they loved the idea,” Mosquito explained. 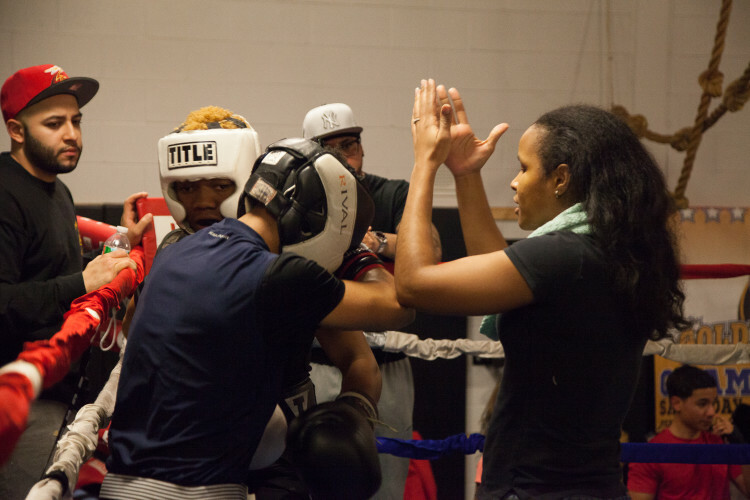 The modest roots of the program are born from a long history of boxing in Jersey City, inspired by the likes of Jimmy Dupree, the former light heavyweight champion who ran a boxing program in Greenville. “I wanted to follow in his footsteps,” says Mosquito. While Mosquito is speaking, his eyes are all over the gym, monitoring drills and combos, motioning to some boxers to move their bags off the ring, to another young boxer to pick up a hoodie off the floor. The young boxer hesitates, but only for a milli-second before picking up the hoodie. It’s evident in the way the all volunteer league runs that the notion of “that’s not my job” does not exist here. Through talking to and soliciting advice from established boxers in Jersey City and Puerto Rico like Tito Trinidad, Miguel Cotto, and Jose Rosario to name a few, Mosquito learned the ropes of making the program “legit” or getting certified through the proper channels. Some of the young boxers have their books which allow them to compete in tournaments. Luis “Mosquito” Gonzalez, founder of the Jersey City Boxing Program. The coaches are all volunteers. Brendan Montenegro, helps out where ever Mosquito needs him and his wife, Karen Matos tutors students who are struggling academically. Brendan started volunteering after training with Mosquito for a charity boxing competition. 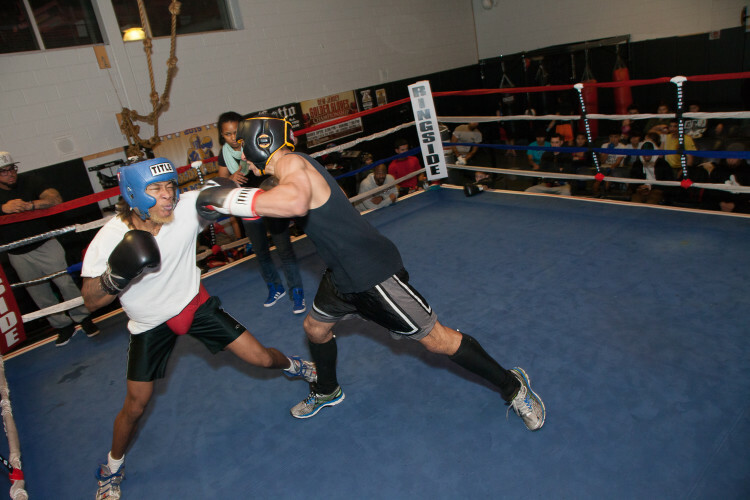 A month later he brought in his son Ethan, who, after less than a year in the program, is going to compete in the 2016 Silver Gloves Nationals in Independence, Missouri, representing the east coast region, on February 3rd, 2016. 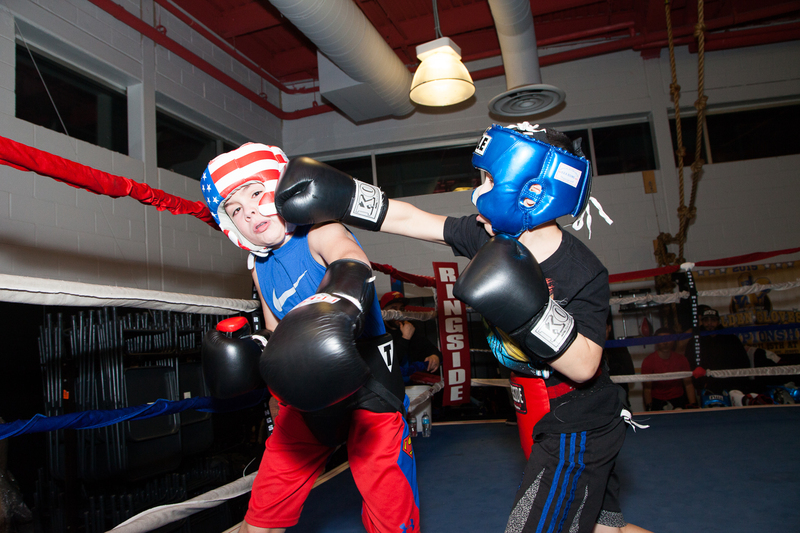 Ethan weathers a punch sparring before his trip to the Nationals in Independence, Missouri on Feb. 3, 2016. The program is open to the public, and right now trains about 60 students from the area. Jennifer Diaz, 13, joined in September after she learned about it from a friend, Covadonga Insuasti. When asked if she was intimidated to go to a predominantly male work out area, she says, “I didn’t care about boys, I want to know how to defend myself in case someone wants to fight. 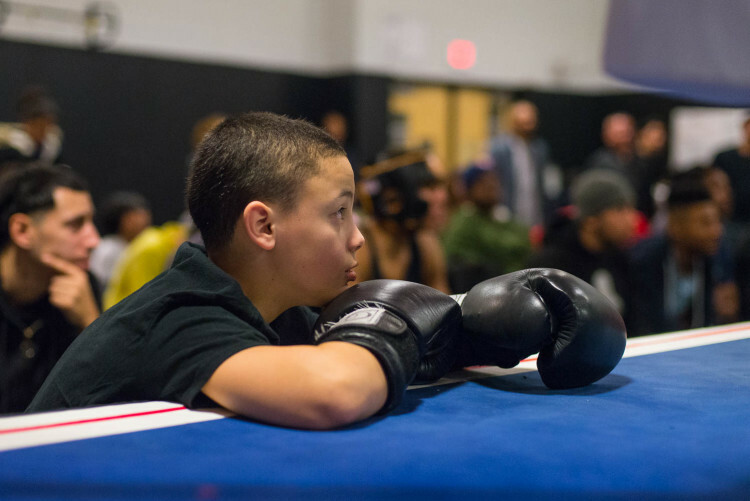 In the ring, I feel a little nervous, but I’m like, ‘you can do this.’ I know that if I get hurt, everything is going to fall away.” After Jennifer joined, her mom signed up her little brother, Luis, who is 9 years old. “If I fail a test, or if I’m mad at someone, I don’t punch somebody, I just use this as a way to get my anger out,” she added. As a small business in Jersey City, Honey and Moon Photography is proud to sponsor the Jersey City Recreation Boxing League and be a small part of the tremendous work Mosquito and his team are doing. 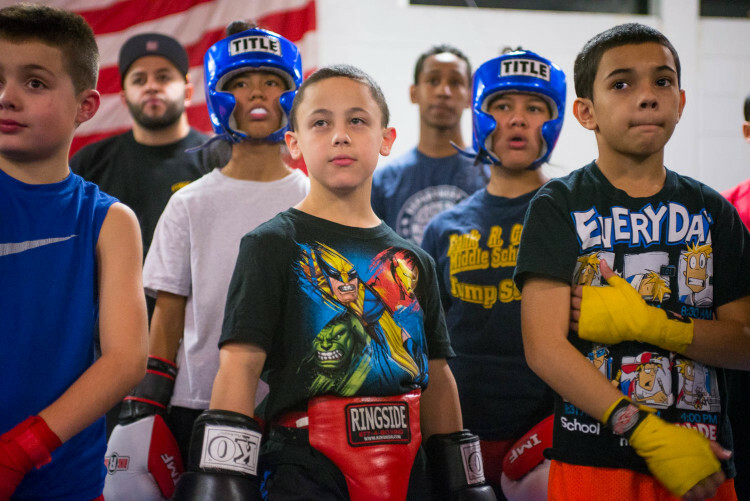 Honey and Moon Photography is looking forward to helping the program raise funds and encourages other residents and small businesses to help the program continue the tradition of boxing in Jersey City. 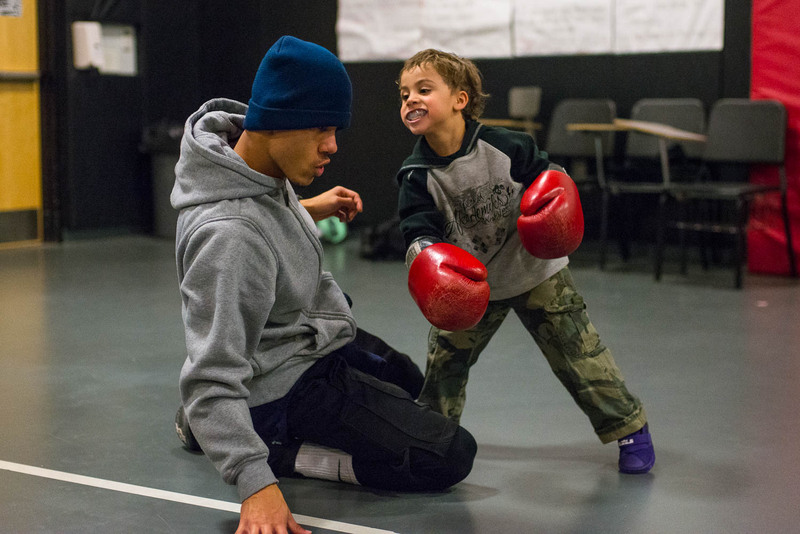 The boxing program serves as a community hub for youth in Jersey City. To help the Jersey City Recreation Boxing League continue to grow, please contact the Department of Recreation at 201-547-6886 or 201-547-4392.